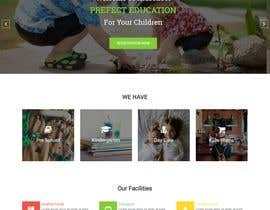 I am looking for a highly creative, modern, fresh and unique website template for school which should feature sliders, carousels, blog pages, News, Student list, faculty profile, services, etc. The template should be your own creation which should not be copied from else where. No part of the template should be copyrighted. Donot use any copyrighted library. Donot use any paid library. Once you submit this template, we will be its sole owners having exclusive rights.